Sony has revealed that it is to shutdown the servers for racing simulator DriveClub a year from now. The servers for the game will be switched off on 31st March 2020, and the game’s DLC and season passes will be removed from the PlayStation Store in August. If you’ve previously purchased the Driveclub season pass (before 00:00am BST on Thu, 29th September 2016), you will be able to upgrade to the VR version at a discounted price when the game launches next month. The RRP for the full version of the game is £34.99 / €39.99, but season pass holders will be able to pick it up for £15.99 / €19.99. DriveClub VR has been confirmed for Europe and North America, following the Japanese announcement a few weeks ago. 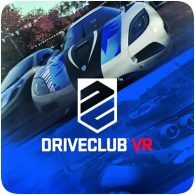 In Japan, DriveClub VR will be a launch title, releasing on October 13th 2016, however, the European and US release dates are less specific and simply states it will be “out this year”. The game will be exclusive to PlayStation VR and the PS4. It turns out that Sony only jumped the gun by a couple of days. Sony has made a follow up announcement, confirming that DRIVECLUB PlayStation Plus Edition will be available to all PlayStation Plus members starting on Thursday, 25th June. The offline mode will be available first, followed by a steady rollout of the online functionality. 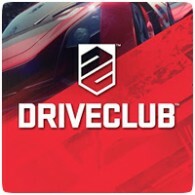 It looks like someone at Sony jumped the gun a little and accidentally launched the long-awaited PlayStation Plus edition of DRIVECLUB. However, the game was eventually pulled from the store and Sony responded with a statement indicating that the release was “premature”. It’s been a long wait for PlayStation Plus subscribers who’ve been waiting for the free version of DRIVECLUB. Originally promised as a PS4 launch title, the game has suffered delays and server issues since day one. However, the wait may finally be over soon. DRIVECLUB development director Paul Rustchynsky has confirmed that the PS Plus Edition is nearly complete. Following yesterday’s interview of Jim Ryan by the Metro, Sony has made a statement regarding the PlayStation Plus Edition of DRIVECLUB, which was delayed after the game suffered server issues at launch. Sony has said that they are continually working on improving the server capacity to allow the launch of the PS Plus edition. The Metro Newspaper today published a interview with SCEE CEO Jim Ryan about the recent quality of PS4 games, including DRIVECLUB and Assassin’s Creed Unity. In the interview Ryan was asked about the PlayStation Plus Edition of the game, which is long overdue, but his response has cast doubts on the game. If you’ve been holding out for the PlayStation Plus Edition of DRIVECLUB, you may be waiting a long time for it’s release. The game has suffered problem after problem since launch, and has seen several patches to update the game’s performance and the addition of new features. DRIVECLUB patch v1.08 is now available to download, weighing in at 1.4 GB. The patch adds dynamic weather to the game, available both online and offline. The patch also adds two new tracks and a number of improvements to the game, including bug fixes and performance improvements.